If you are looking to buy a new indoor rowing machine for your home, then you might be experiencing a bit of decision fatigue because there are so many choices available to you. There are lots of brands and models for sale and the shopping experience can be overwhelming. So, if you want to make your shopping process a little easier, use our site here at Athleticsly to compare the top rated home rowing machines and find the best rower for your needs. If you are in a hurry, start with our comparison chart of the top 10 best rated rowing machines. Fortunately, we have taken the time out to test and review the machines to find those that are the best value rowing machines for the money. By choosing one of these machines, we are confident that you are adding a quality indoor rower to your home gym. And if you’re interested in our in-depth rowing machine reviews, then keep reading or skip right to our reviews section. Or, if you have already gotten yourself a machine but aren’t sure where to begin, take a look at our guide on using a rowing machine. 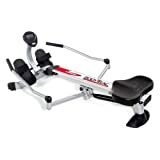 When you use this type of equipment as part of your workout, it should mimic the same smooth motion movements that you would have if you were out rowing on the water in a boat. To achieve this, the build of the gym equipment should be sturdy so that it can easily support the continuous movement and weight of the rower using it. The seat needs to be comfortable to sit on for long periods, but not something that is too soft. And if you want the best lower body workout from it, then you need to choose a model that has a sliding seat. For a sliding seat, it needs to be able to go back and forth in a smooth, fluid motion that has enough room to give you a full extension of your legs and flexion of the knees. You need to have ample room in front of you, when seated, to give room for forward reach of your arms and shoulders as you reach to begin the rowing motion. Having enough space allows you to take in the full benefits of using a rowing machine for fitness. When you are seated, the oar handle should be located directly in front of you and centered so that you are able to get a full range of motion in a straight horizontal plane. As you complete each stroke, you should experience a seamless, smooth feel of resistance. You do NOT want a machine that gives you a jerky or choppy resistance, or one that drops sudden resistance changes. From one stroke to the next, the equipment that you are using should allow for an easy change in resistance. Most models are equipped with a digital monitor that gives you output relevant to your workout session. Common data that you will see includes your pace, your power output measured in watts, your distance, your heart rate and your calories burned. Not all machines have this monitor, and those that do have it do not all show you the same data. With some of them, you also have the option to use pre-programmed workouts based on your goals, such as cardio, fat burning, interval training, and distance or time training. More advanced machines show you a virtual stroke display so that you can see the force, as well as a pretend pace boat that you can measure yourself against. Depending on the model, you may also have the option of tracking your workouts in a detailed log. Others offer technique tips or come with a complimentary website membership where you can log your progress, get motivated and pick up some workout tips. Air resistance is the most common type that you will find, unless you are looking at the cheaper machines on the market. Most of the cheap models are piston-driven. For the fastest change in resistance, you want either an air or magnetic resistance machine. Manufacturers claim that water and weight driven machines are the closest at replicating the feel of rowing on water. The air machines are easy to distinguish as they normally have a mesh cover over the flywheel that is there to prevent injury to the fingers. If you are low on space for your home gym equipment, then keep in mind that some of the air and piston resistance machines can be folded for easy storage when not in use. Before you make a final decision on which home rower is the best for you, take a moment to consider your reasons for buying one of these machines. Are you looking to add a little versatility to the types of equipment in your home gym? Is your primary goal a fun workout? If either of these apply, then you might be just as happy with a cheap rowing machine than a more expensive one. Do you want the most realistic rowing experience? Will you be using the machine regularly for your fitness workout? If either of these apply, then a higher end model will likely meet your needs better as it will have a better build for a more realistic experience. It is important to keep in mind that no matter what your reasons are for wanting one of these machines, you do generally get what you pay for and the cheaper models do not offer as any features or as durable of a build compared to the more expensive models. How much space do you have in your home for the machine? 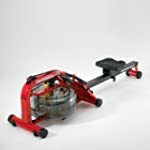 If you are short on space, then you should consider focusing your shopping on foldable rowing machines because you can store them upright and out of the way when not in use. 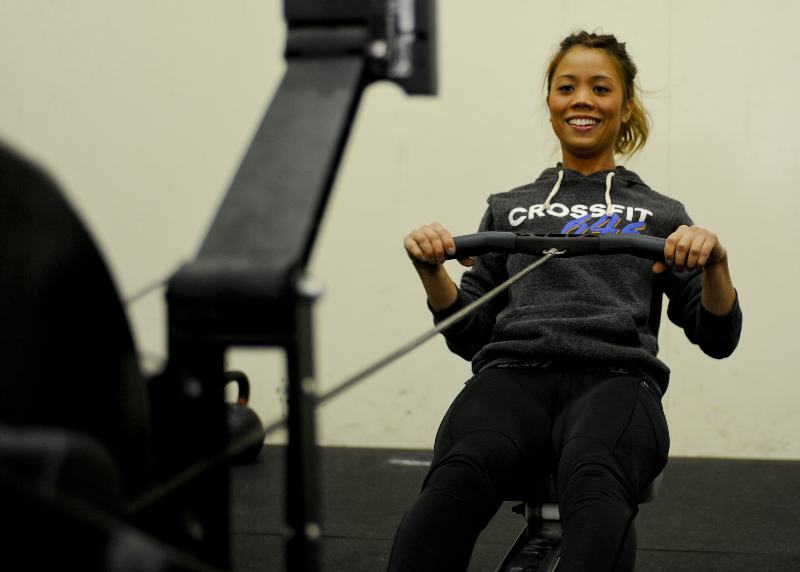 Are you planning on training hard with regular rowing machine workouts? If so, focus on the resistance levels of the ones that you are comparing so that you can get the one with the highest level for the hardest training. Do you prefer a long warranty period in case something goes wrong with the equipment? This might be important to you if you plan on regular usage each week. What kind of information do you want the display monitor to give you? Knowing this helps you narrow down your options to those models that give the data you want on the LCD display screen. It is important that you get the right machine for your needs so that you can make the most from your workouts. Having something that works well for you is great for your health and fitness levels. You will be able to burn a lot of calories at once since these machines are highly effective calorie burners and might just be one of the best home gym machines for fat burning. And the great thing about them is that pretty much anyone can use one of these because they are low impact, which means minimal stress on your joints. Plus, they give your entire body a great workout which means that both your upper and lower body gets toned. To get the most from your rower, you need to take proper steps to care for it so that it stays in tip top working condition. Handles should be regularly wiped down with a general disinfectant. For the best results, get into the habit of cleaning the oar handles after each use. Always use proper technique when working out so that you do not stress the machine in any usual ways. And when using the machine, avoid any unnecessary twisting or pulling of the cord or chain. This type of special care is important because the twisting can severely damage the cord or chain. Look in your owner’s manual for regular maintenance details and then take measures to regularly perform the required maintenance on the equipment to ensure safety and proper operation. Millions of people around the world have made this the #1 best selling rowing machine at several stores. And those personal trainers and fitness enthusiasts cannot be wrong about it being the top choice. Designed to last a lifetime, the Concept2 Model D is backed by a five-year warranty and is racking up five-star reviews by our reviewers. It is an air resistance machine that includes many top of the line features. Compared to the other best selling models, it is one of the pricier options. However, it does offer a lot of bang for the buck if you don’t mind spending the extra on it. There is a good reason that people like me rated it five stars. Read our Concept2 Model D review and see if you agree with our assessment. If you enjoy the Concept2 Model D but want something a little more, then this is the answer to that. You get all the greatness of the Model D along with a low maintenance chain, an upgraded display panel, a higher frame and the PM4 performance monitor. This is a newer model with a slightly higher price tag, but if you want the best with all the bells and whistles, then this is it. Otherwise, save a little cash and get a few less features with the Model D. Read our Concept2 Model E review to see what else we have to say about it. 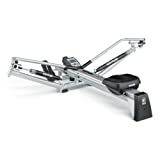 If you want a good, cheap rowing machine for the money, then this Kettler model makes a good choice for your home gym. This brand is known for making high quality gym equipment and this model is no different. Even better – the price is under $400 from the manufacturer! 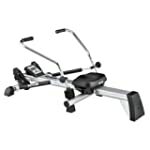 It is a no frills machine that is perfect for the fitness enthusiast on a budget. 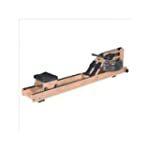 So, if you won’t miss some of the higher end features, then definitely consider this budget-friendly indoor rowing machine. But if you’re a serious rower, this is likely not the best choice for you as some power users report problems with the resistance level changing on them. Read our Kettler Favorit review to learn more about what we think. 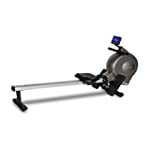 It might not look like the other machines, but it still gives you a great rower’s workout. The reason that this is such a unique rowing machine is that it is carefully designed so that it mimics rowing in water as closely as possible. After just a few strokes on this hydraulic machine, you will be convinced because it comes pretty darn close to the real thing. And Kettler is a brand that is known for making great equipment, so you know that this is some quality gear for your home gym. Read our Kettler Kadett review for more details on it. This machine is in the same price range as the Kettler Favorit, which makes it another good choice for the fitness enthusiast on a budget. Like the Kettler above, it is rated high by consumers who own and use the machine regularly. As you can tell from the images, the design is just slightly different. It is also worth noting that this machine won the Seal of Excellent in the 2008 Gear Awards due to it’s high quality. The resistance system works well, is quiet, gives you a smooth stroke and easily folds for storage when not in use. Read our LifeSpan Fitness RW1000 review for more on this one. 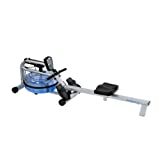 If you want a cheap water resistance rower that is actually a good quality machine, then this is the best value for the money. The build and quality are great with it and it does a pretty good job of mimicking the feel of actually being out in the water and doing some real rowing. You’ll enjoy working against water’s natural resistance as it will give you a challenging workout when you push yourself. Don’t worry though, you can take it slow and easy if you prefer. 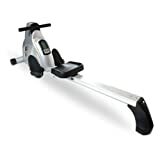 If you’re looking for the cheapest rowing machine for the money that has pretty good quality, then this is it. The amazingly low price is under $200 at Wayfair! Is this a great machine? No. Does it work as promised and give you a good workout? Yes. It stows away nicely as it is very compact when folded. It gives you a similar stroke motion to that of the Kettler Kadett machine. However, the resistance level is not very high so your maximum workout is limited. And there are some owners who have complained about issues with the feet straps. However, you can’t beat the low price if you want an okay piece of equipment for now. You can always upgrade to a better model at a later point, right? If affordable is your focus but you want something better than the 1050 model above, then consider this 1205 model from Stamina. One of the big differences between the two machines is that this one does not fold for easy storage. Still though, it is a fairly compact machine that won’t take up a lot of space in your home. 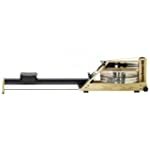 This hydraulic model also gives you a slightly different rowing stroke motion compared to the 1050 model. Owners review the Stamina 1205 well, with the only complaint in regards to it having tight hydraulic shocks that take a little time to loosen up. 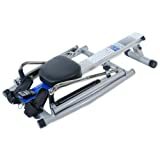 So, if you are on a budget and don’t need a folding rower, then this well-rated model is something that you should consider buying for your home gym. 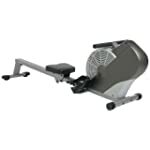 Keeping with the Stamina brand, this 1215 model is probably their best rowing machine that they offer for sale. It is also a hydraulic model, but you get a smoother, fluid rowing stroke when you are on it. The Stamina 1215 Orbital gets top ratings from fitness enthusiasts who own it and it makes a great economical choice for your home gym. If you’ve ever rowed on the water, then you’ll enjoy the natural feel and full range of motion that you get from this equipment. 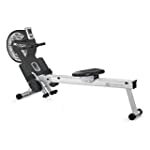 Overall, this is the best quality rower that Stamina has for sale, so it definitely should be considered, especially with its low price. If you want to try a rower with magnetic resistance, then this is one of the best offerings on the market right now. It is an incredibly quiet piece of equipment, which is great for people who do not want to disturb family members while exercising or who want to watch television while working out on it. I really like that it has a heart rate monitor and a nice, sleek build so that it looks nice in my home. It actually looks like a more expensive piece of gym equipment. It’s in the mid-range when it comes to price and is comparable to the Concept2 Model D, except this one has a lower price tag. It gives you a great workout at a good price and the build of the equipment is quality. After doing some extensive research, these are the best bang for your buck when it comes to choosing a new rower for your workout regimen. 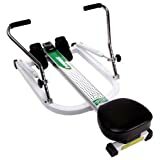 As someone who is actively looking for the best workout equipment, this list of the top rated rowers is updated quarterly in case there are any new models that blow the rest out of the water. So, if you’re not yet ready to buy, just bookmark this page and come back when you are ready to compare the models in depth and make that final decision. If you find that you still have some questions about these machines, you can use our contact page and we will do our best to help steer you in the right direction. Just keep in mind that any fitness questions might be better asked of your family doctor as we are not healthcare professionals. Though you might be anxious to jump on your home rowing machine once you get it all setup in your home gym, but before you do so it is a good idea to familiarize yourself with the best practices for working out on this type of equipment. You don’t want to make the same mistakes other beginners make. And the last thing that you want to happen is to give yourself a back injury just because you were too excited to learn what you were doing before you starting to work out on the rower. Proper form is very easy to maintain and it is extremely important that you focus on the correct form not just because it will prevent any injury to your back from happening, but also because it will maximize the fitness results that you get from working on out this type of gym equipment. Assuming that you bought the rower to tone your body from head to toe, you need to use it properly to get all of those upper and lower body toning benefits. While we have plenty of information here on Athleticsly to help you use the machine properly, you can also just check out the video below for a few quick tips on using your new home gym equipment the right way the first time and throughout your entire ownership period. Once you get your new workout gear all settled into your home gym, there is not a lot that you need to do in order to keep it in proper working condition. Consult the owner’s manual for your model to see what is recommended as each manufacturer suggest a maintenance schedule based on the machine model. Typically the maintenance just involves things like checking cables and knobs to see if anything is loose, needs tightened or is showing signs of wear that might not be normal or that might suggest that something needs replaced. Most of these machines are designed to last several years if not a lifetime of use, so you do not need to worry about making repairs in the future. Just keep a spray bottle of disinfectant nearby so that you can wipe down the handles and seat after each use. And take care to only use the equipment as intended and never yank or twist the cables or cords. Just by following these simple maintenance rules, you will keep it in tip top shape so that it continues to be a valuable piece of home gym fitness equipment for many years down the road. For whatever reason, there are a lot of fitness enthusiasts who get on one of these for the first time at the gym and just start out doing it all wrong. As a personal trainer, you begin to notice that people tend to make a lot of the same mistakes when it comes to using this type of equipment incorrectly. It is important to take notice of any errors that you are making because this is one of the few pieces of gym equipment that has a low injury risk, yet lots of people end up with back injuries due to using it incorrectly. To get an idea of what I am talking about, take a look at the video below that highlights some of the user errors that personal trainers frequently see people making when using a rowing machine at the gym. It is easy to make these sorts of errors if you have never actually rowed a real boat out in the water. But, even those who have never been in the water can overcome these errors and start using proper form and technique on the machines. And if you do use the correct form and technique, then always focus on that because it is easy to get into the habit of doing it incorrectly by leaning backward or forward when you shouldn’t be. Just always being conscious of your form can help you prevent any back injuries in the future.